Zgłaszam ją na wyzwanie w "Magicznej Kartce"
Very pretty, thanks for playing @ CTO! What a magnificent card ! Fine and delicate work. Beautiful choice of colors. Wonderful composition. Bravo ! It's very successful ! Thanks for joining us at Charisma Cardz this week and good luck ! cute! love the sparkles and butterflies. thanks for playing at cto. Beautiful creation! Thank you so much for joining us at Allsorts this week and good luck in the purple challenge. What a cute card. So beautiful design. I appreciate this adorable creation. Thanks for sharing. Gorgeous, lovely colours and great shape. Thanks so much for joining in with the challenge at Charisma Cardz this week. Gorgeous card with so many fabulous details. Thanks for playing along with us at Allsorts and Charisma this week. 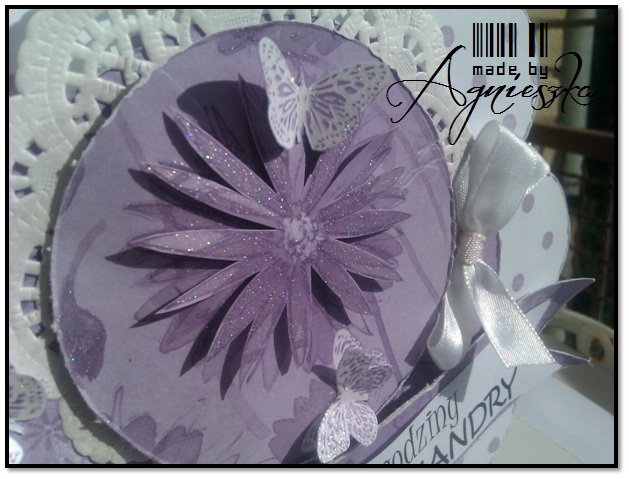 Beautiful shaped card Hun love the box that goes with it too and the soft purple color is fab !! Gorgeous card and box - beautifully put together. Really gorgeous, so many beautiful details. 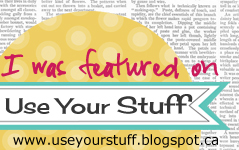 Thanks for joining us at Crafty Bloggers Network.